The information on the Y & H Income Tax Services, LLC site is provided with the understanding that it should not be used as a substitute for consultation with professional accounting, tax, legal or other competent advisers. While we have made every attempt to ensure that the information contained in this web site has been obtained from reliable sources, Y & H Income Tax Services, LLC is not responsible for any errors or omissions, or for the results obtained from the use of this information. This site contains links to servers maintained by other organizations. 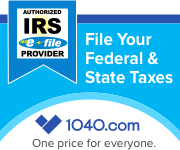 Y & H Income Tax Services, LLC cannot provide any warranty about the accuracy or source of information found on any of these servers or the content of any file the user might choose to download from a third-party site, and is not responsible for the content found on any of these servers, or for any links these servers maintain with other servers.